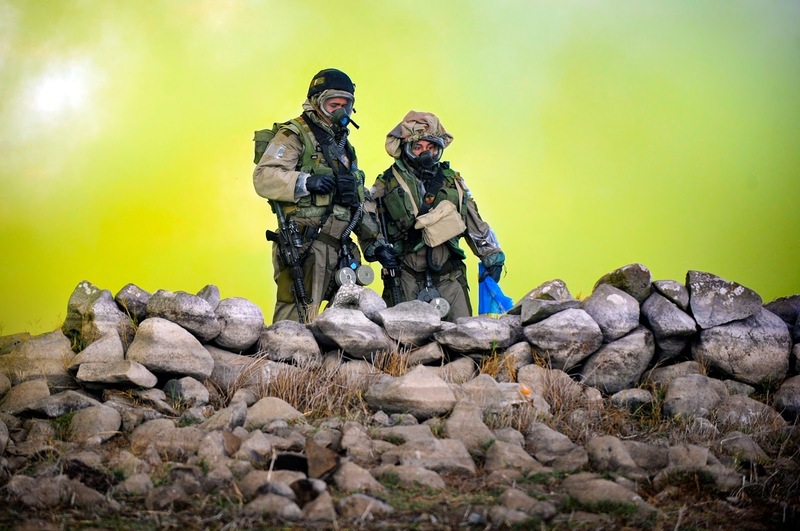 ﻿In today's world, in which the threat of terrorism looms, there is an urgent need for fast, reliable tools to detect the release of deadly chemical warfare agents (CWAs). In the journal ACS Macro Letters, scientists are reporting new progress toward thin-film materials that could rapidly change colors in the presence of CWAs - an advance that could help save lives and hold aggressors accountable. In their paper, the researchers point out that there are many techniques available to detect CWAs. One of the most effective ways for a sensor to show quickly whether chemicals weapons are in the environment is through a distinct color change. Several tests can do this when they're exposed to CWAs, but of these, most are based on liquids, which are not as practical as thin films. Thin films are critical for real-time detection because they are easier to use and can work continuously. The researchers wanted to address this gap. With that goal in mind, the researchers produced a new thin-film material and tested it using a substance that mimics a chemical nerve agent. It rapidly changed color in response to the agent. The researchers conclude that a family of such materials could be developed to sense various chemical threats. Originally posted by American Chemical Society.